Kerr’s Tyres has secured a three year deal with the Henderson Group. 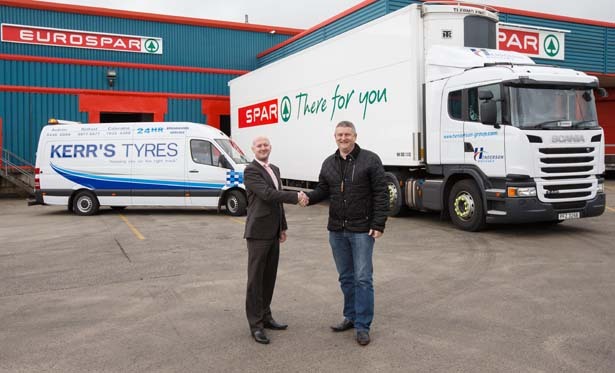 The deal, which is already achieving significant savings, will see Kerr’s Tyres supply, fit and maintain all tyres for the Henderson Group under an innovative Pence Per Kilometre (PPK) contract. The Henderson Group is a local, family-run company that owns the Spar, Eorospar, Vivo and VivoXtra franchises in Northern Ireland. Pictured L-R: Greg Gilmour, Transport Manager, Henderson Group and Norman Kerr, Managing Director, Kerr’s Tyres on the signing of a three year tyre deal to supply and fit tyres under an innovative Pence Per Kilometre contract designed to slash Henderson’s tyre bill in half. 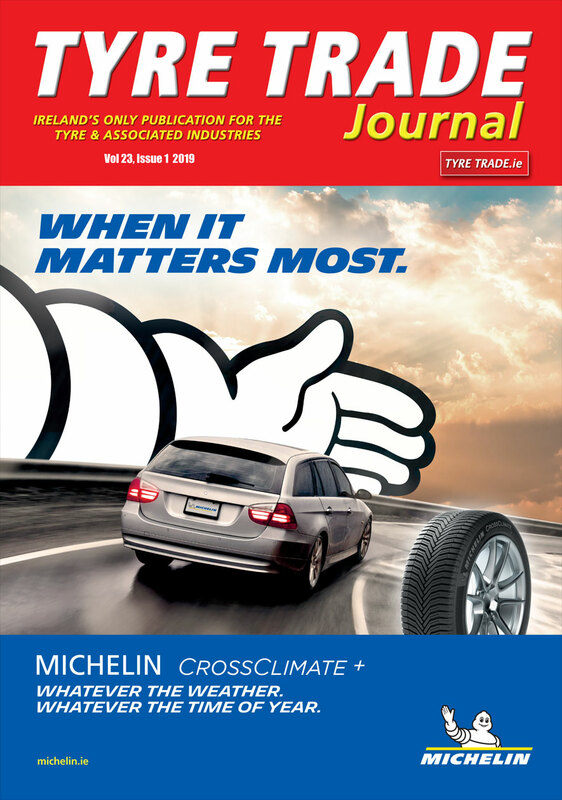 PPK tyre contracts can bring many benefits to the Haulage industry and in particular those servicing a retail chain where managing costs and margins is paramount to a store’s profitability. PPK contracts offer peace of mind that there will be no unexpected spikes in tyre costs across the term of the contract, which is a huge benefit for a haulier running a fleet. The real benefit of PPK contracts for a distributor supplying retail chains is that they can be sure of their costs over the duration of the contract. Customers, such as Henderson Group, can carry on with the day to day running of their business safe in the knowledge there will be no surprise spikes in costs, breakdowns or inefficiencies to worry about.